Borrow a book from the library in Reception. Take off your shoes, pop on a hat, sunscreen, then spend the day on the beach or lazing beside the pools. Keep the kids entertained with a game of tennis. Rackets and balls are available on loan from reception. Enjoy a board game or puzzle. Play Hopscotch with the kids. Instructions are available at Reception. Keep an eye out for “Wiggy” our resident goanna around the grounds. Drive to Platypus Beach, a sandy beach in the Pioneer River. A short drive from Marini, and a favourite swimming hole for locals and visitors to our region. Besides that, Platypus beach has picnic facilities, informative signs, and shelter. Its a beautiful location to enjoy swimming, kayaking, paddle boarding and picnics. You may even see the elusive platypus in its natural environment. 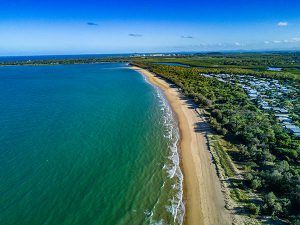 Take off on a 6 km stroll along Mackay’s longest sandy beach, beautiful Blacks Beach. You might find hidden treasures. Marine turtles nesting and/or eggs hatching, migratory shorebirds, and blue soldier crabs. Sometimes you can see Whales and dolphins frolicking off the beach. Even locals and visitors kite surfing, canoeing, and stand up paddle boarding. Be inspired by the highest standard of contemporary art at Artspace Mackay. Housing three impressive gallery spaces and an ever-changing exhibitions program. Travelling exhibitions come from national and regional gallery collections. The gallery also curates shows from its own Artists Book Collection. 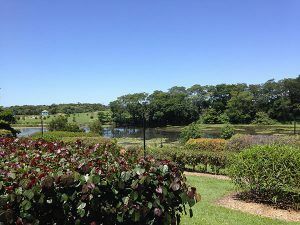 Enjoy a few hours relaxing at the Mackay Regional Botanic Gardens. See lush themed gardens, wetland species and wildlife habitats. Besides that the palm walk & fernery are a must. Lagoons Café is great too. The Botanic Gardens Links to the Bluewater Trail, so a great stop over for lunch when out cycling. Try a pub crawl with a difference. View the Heritage Hotels and Pubs around the district. There are thirteen in Mackay itself and another sixteen in the region. Start at the Iconic Eimeo Hotel, 5 minutes drive from The Shores. The Eimeo has excellent views to southern islands of the Great Barrier Reef. Also great for sighting whales during the winter months. Hop in the car and travel to Finch Hatton Gorge. Follow the walking track through lush tropical rainforest to the picturesque cascading waterfalls. A photographer’s paradise. Grab a homemade pie at the Pinnacle Pub on the way because they taste awesome. Take a stroll along the Bluewater Trail a shared pedestrian and bicycle path around the city. 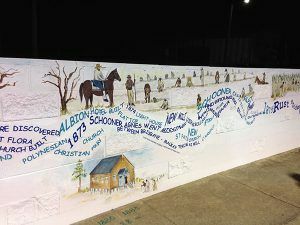 It boasts pathways, raised boardwalks, Mackay’s Levee Bank Mural, and environmental areas. Consequently, its great way to see the region’s natural beauty. 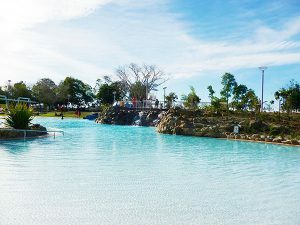 Please the kids with a day at Mackay’s Bluewater Lagoon, situated at Canelands Park. They are sure to enjoy the three huge swimming pools. If not the water slide, waterfall, or children’s splash pad are options. Even Mum and Dad will enjoy Pancake Bliss the café/snack bar. A must do fun filled day for kids. Links to Bluewater Trail. Go for a drive to the Hay Point & Dalrymple Bay Coal Terminal lookouts. At the lookout you can spot the ships lined up out at sea waiting their turn for coal stock. Listen to the video and see the map pinpointing the coal mines in the region. A huge industry. If you have lots of time, consider driving the Mining Trail. Put on walking shoes and take a self guided Heritage Walk around the City. Pass twenty restored heritage listed buildings. Its one of Queensland’s best collections of Art Deco architecture. 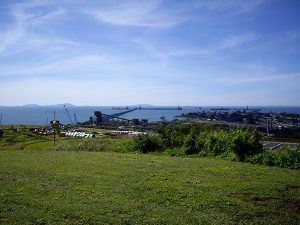 Take a 1km stroll along the Kommo Toera Trail. 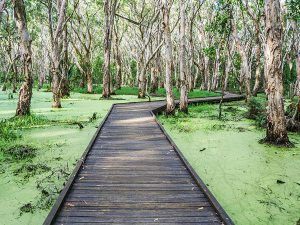 A unique wetland ecosystem walking track. The trail meanders through a canopy of towering Melaleuca (Paper Bark) Trees. Situated off Keeleys Road, Andergrove. 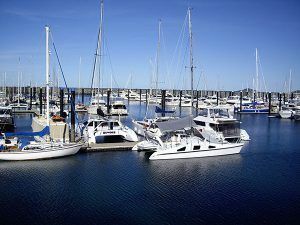 Head down to Mackay’s popular Marina Village. 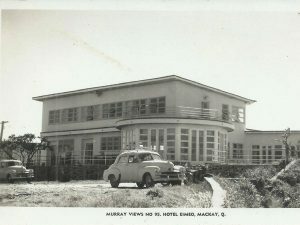 It boasts an array of restaurants, bars and shops and the Mackay Yacht Club. Check out the breakwater. Marvel at the variety of boats moared in the Marina. See larger vessels getting towed in and out through the harbour neck. Drive through Slade Point to the lookout at Lambert’s Beach. A great spot for Whale Watching from the mainland. Whales may be around between June to September every year. Besides that it has awesome views to the southern Whitsunday Islands all year round. A short 50 minute drive from mackay is Cape Hillsborough National Park. An awesome spot for fishing, bushwalking and spectacular coastal scenery. 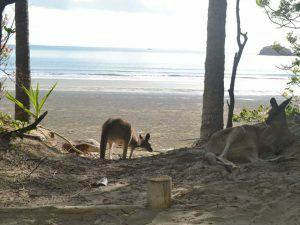 Besides that you may even see wallabies on the beach. A nature lover’s paradise. 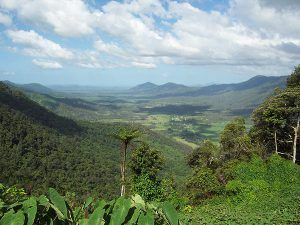 Enjoy a full days drive West of Mackay along the Peak Downs Highway to Clermont. 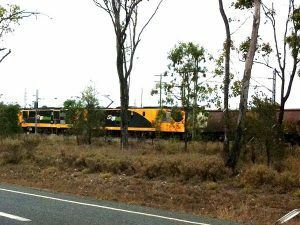 Pass through the mining communities of Nebo, Coppabella, and Moranbah. A tourist route less travelled. See beautiful landscapes, historic towns and mining communities. Besides that, you will meet the friendly folk of our hinterland.